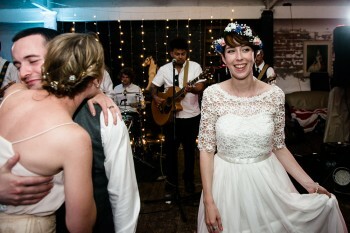 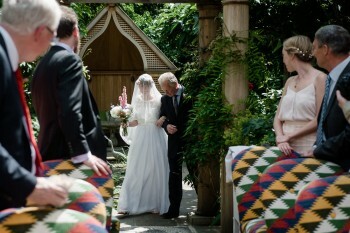 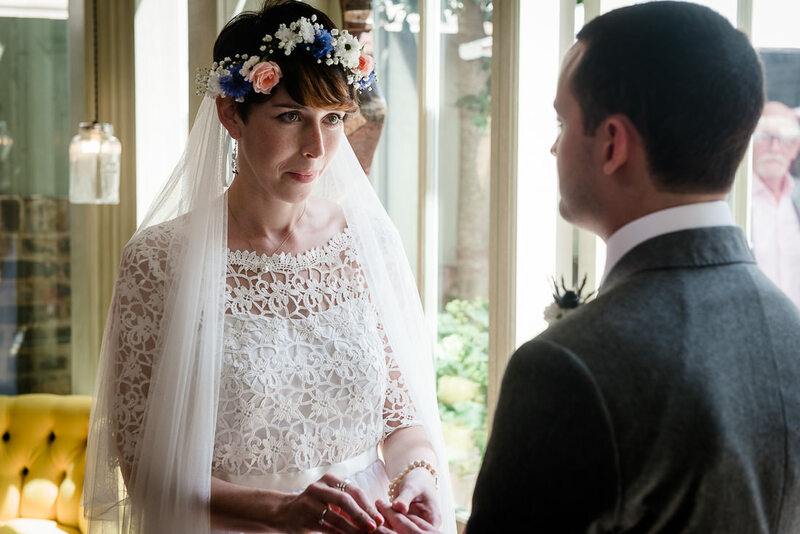 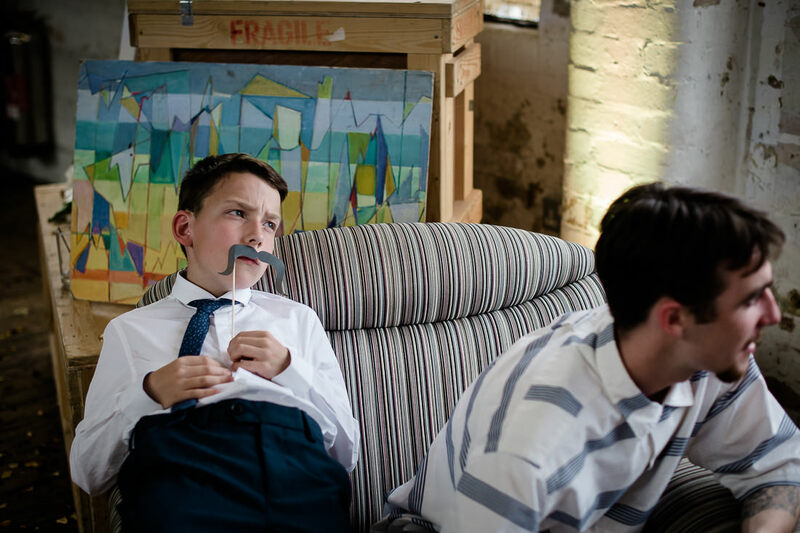 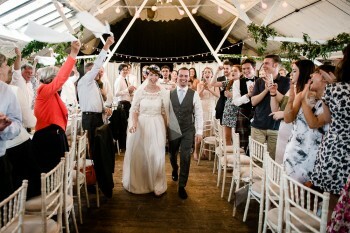 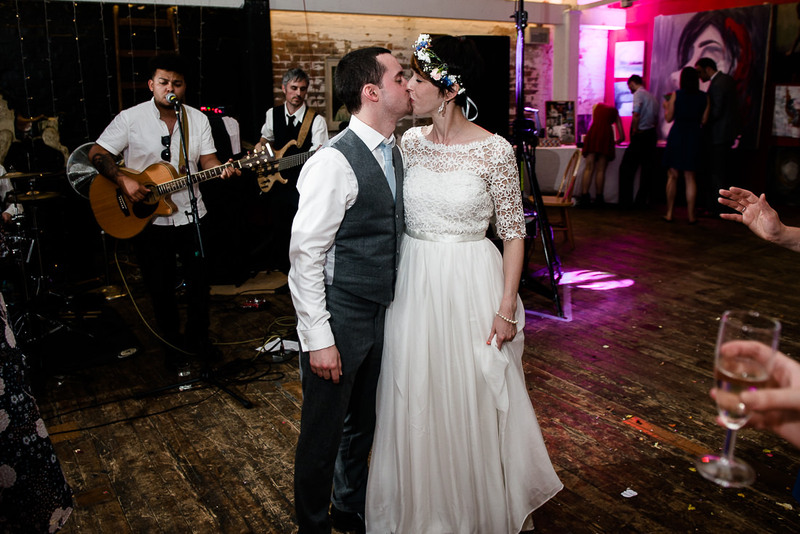 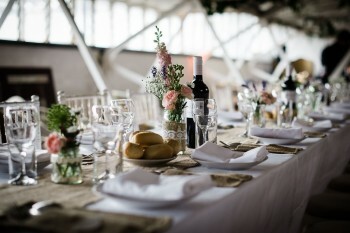 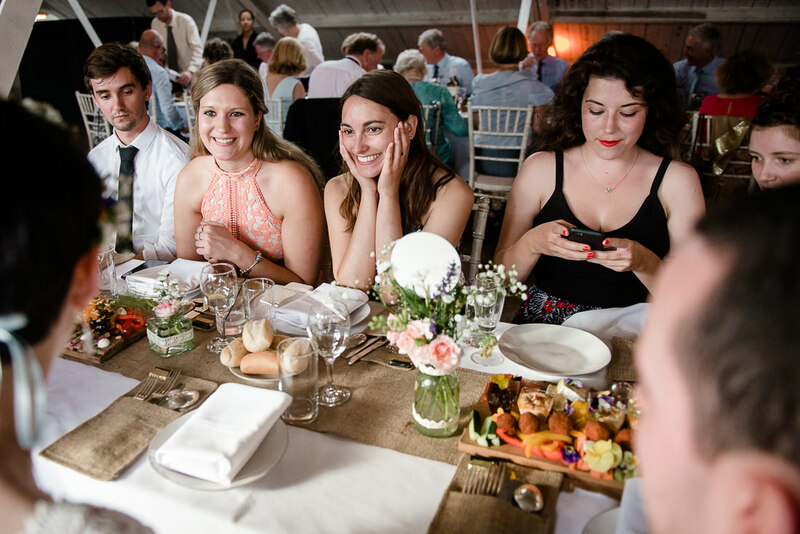 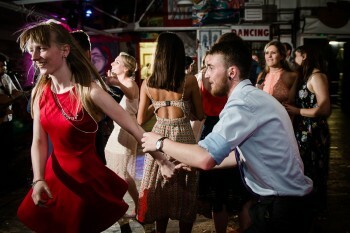 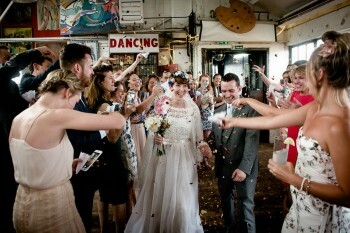 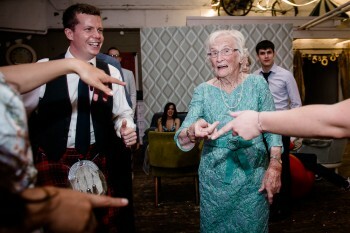 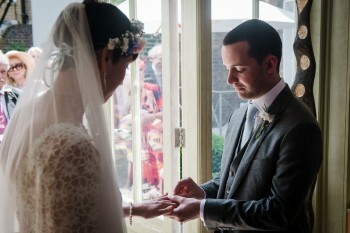 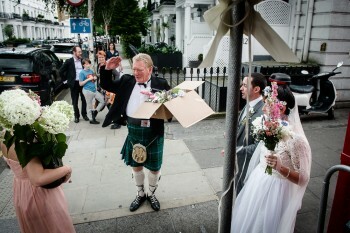 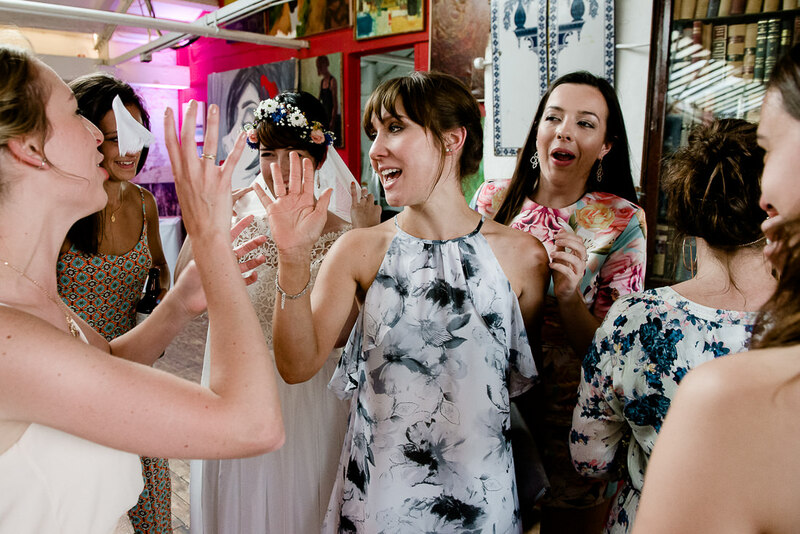 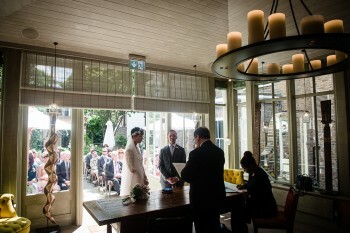 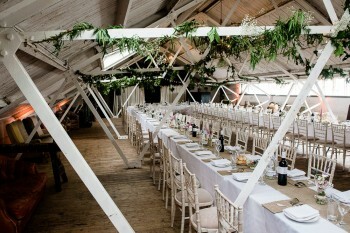 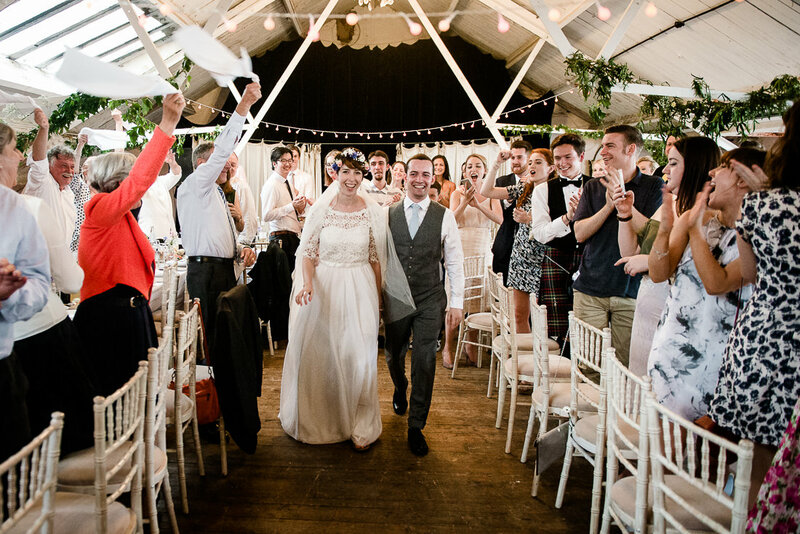 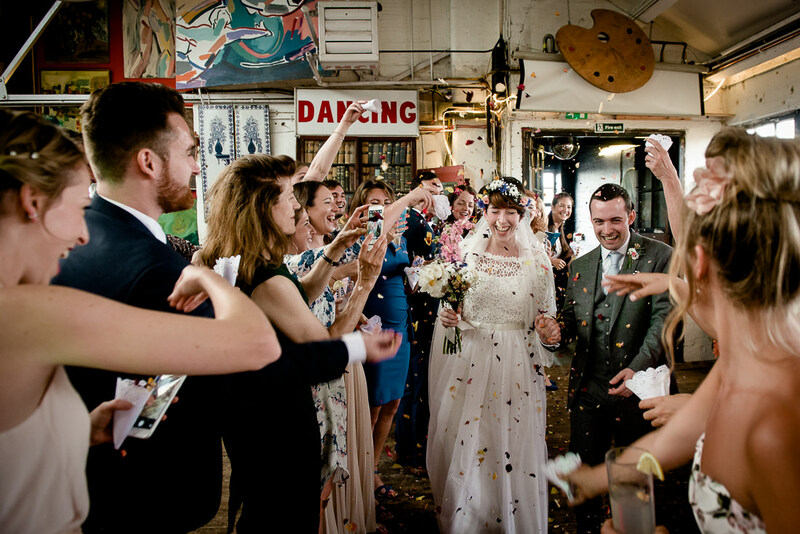 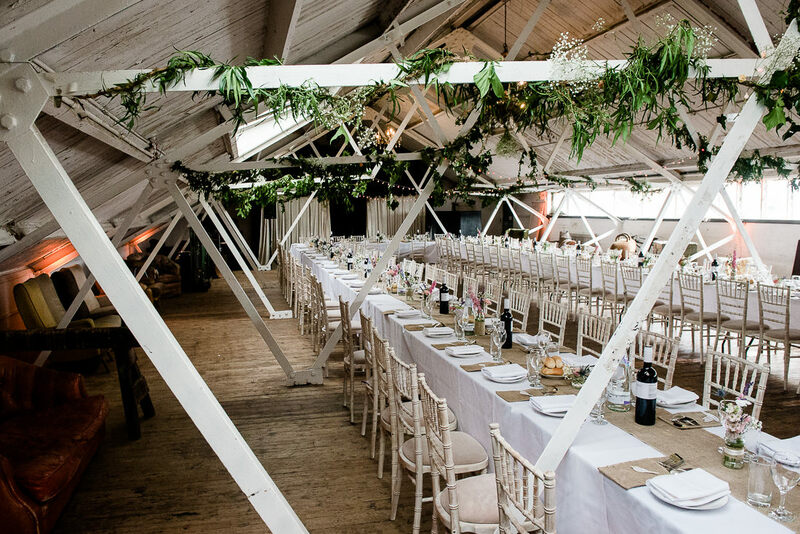 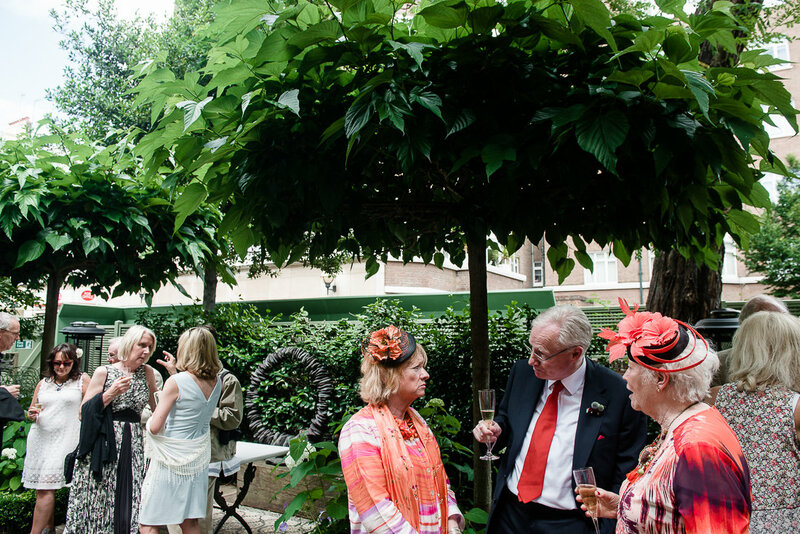 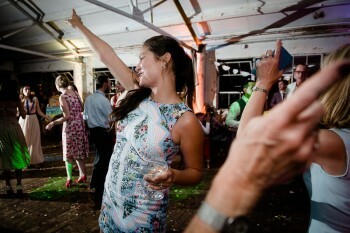 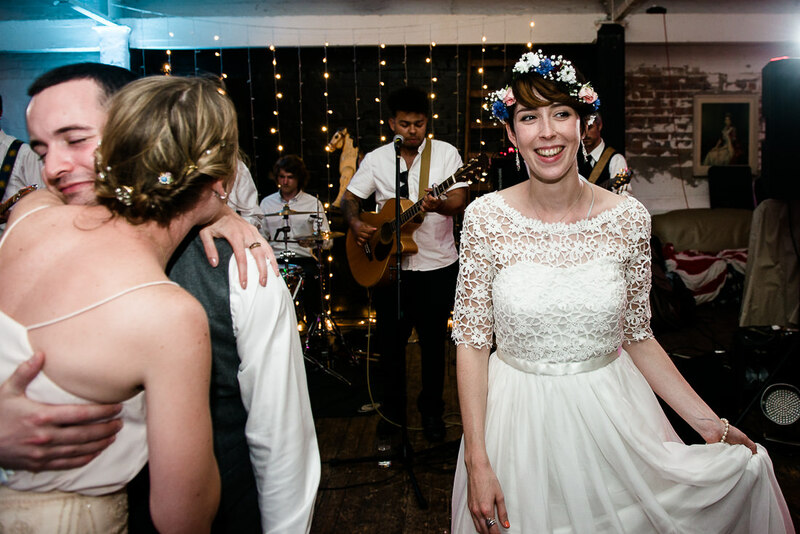 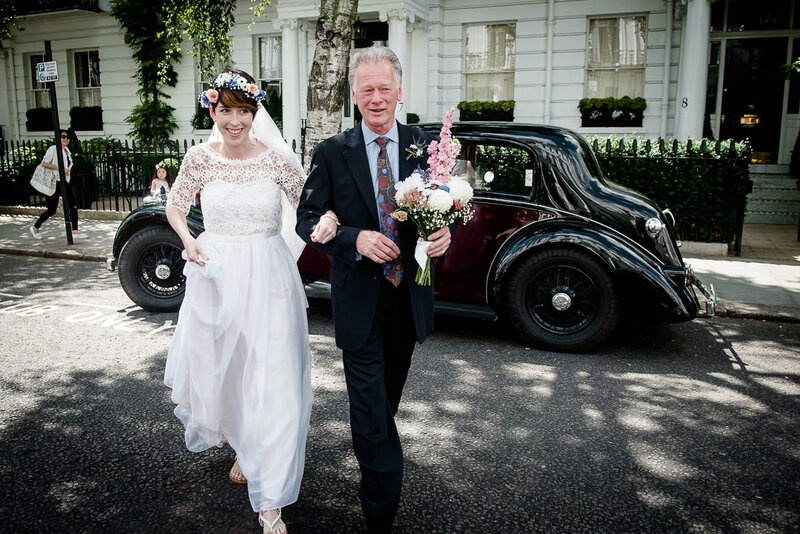 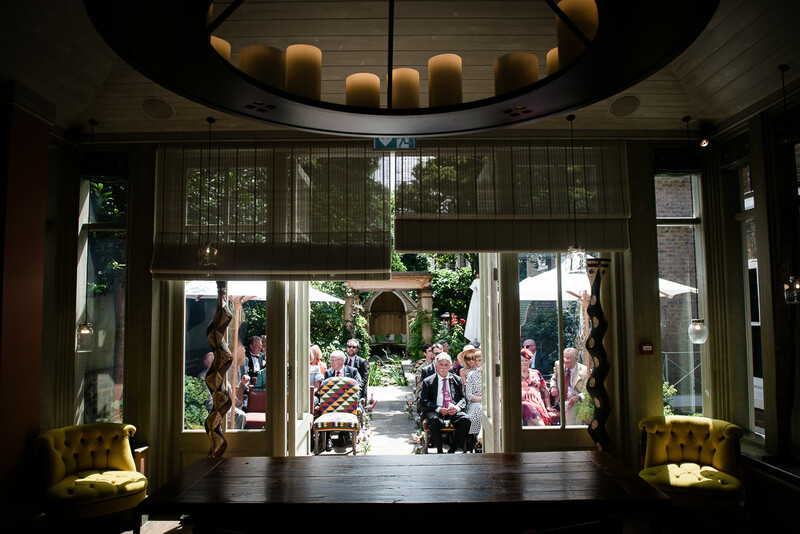 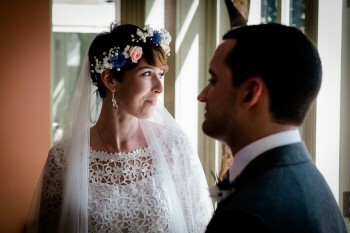 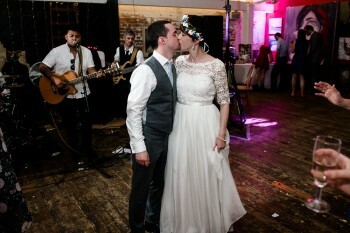 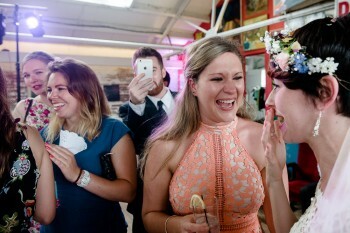 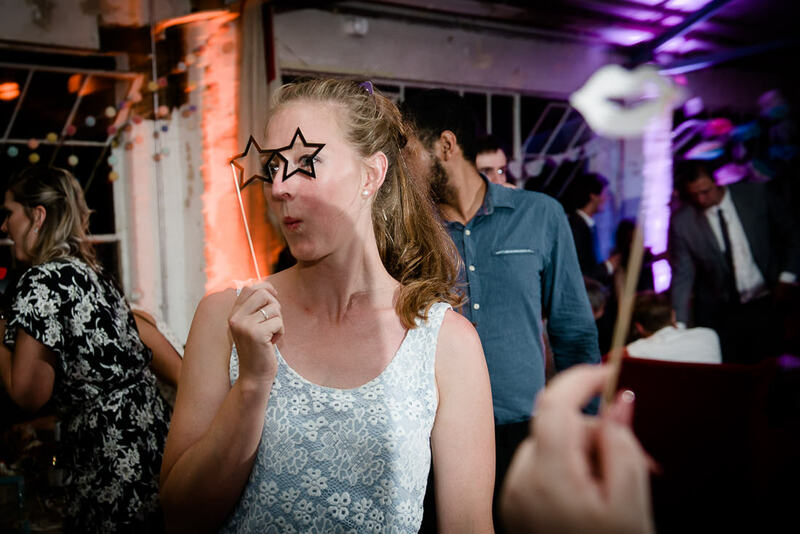 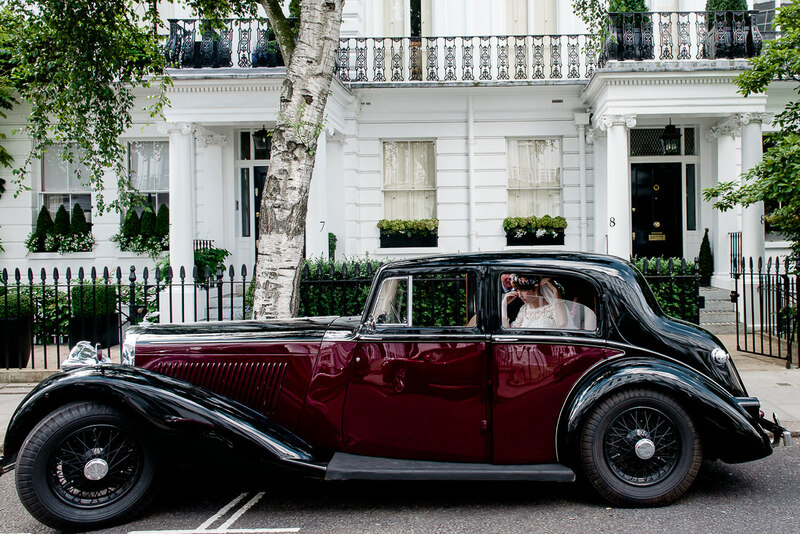 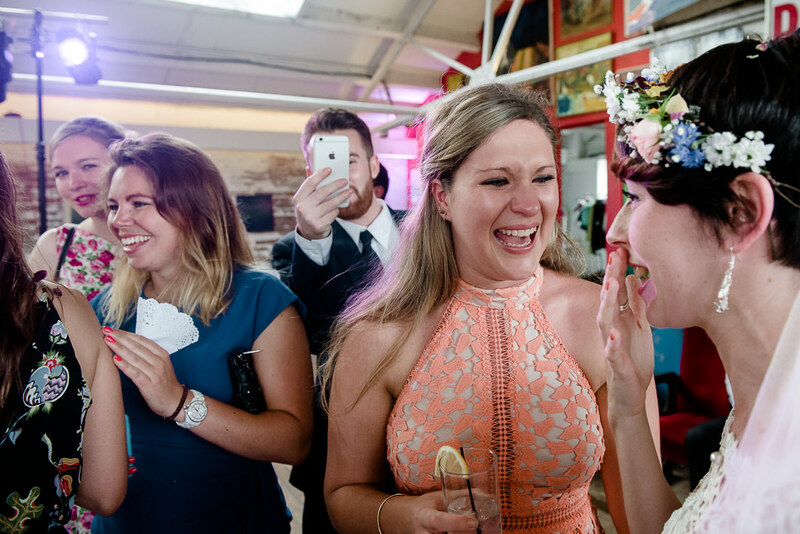 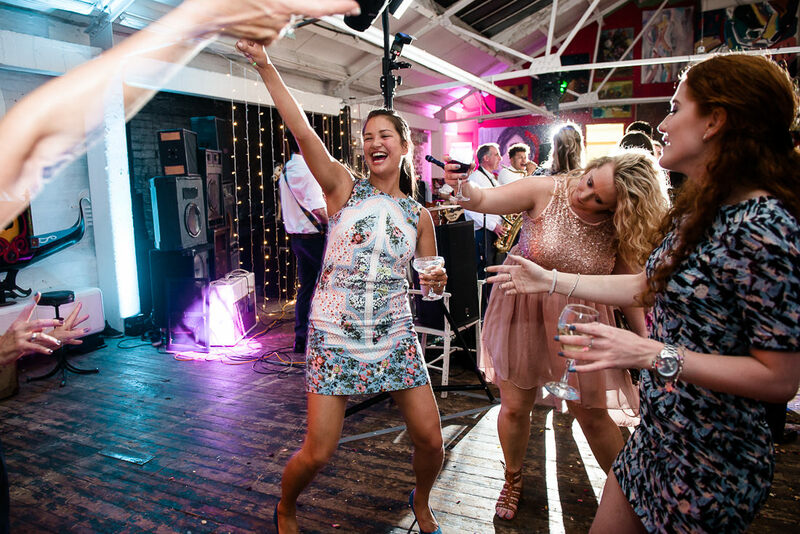 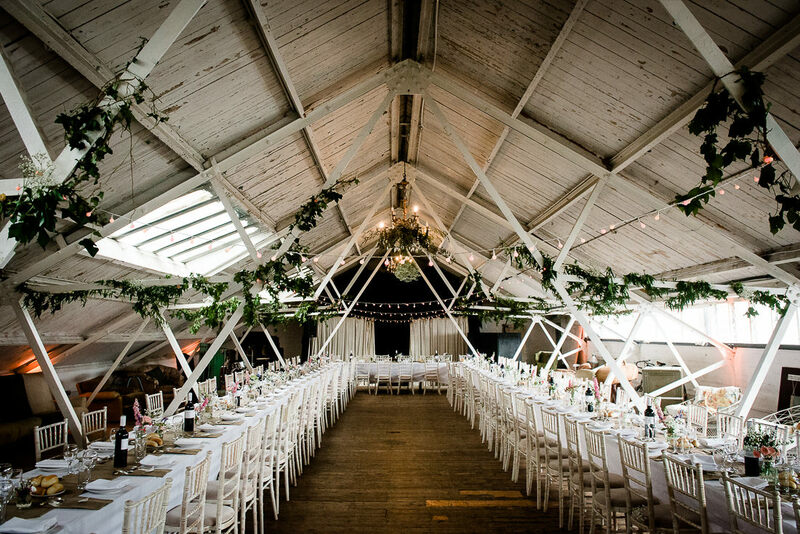 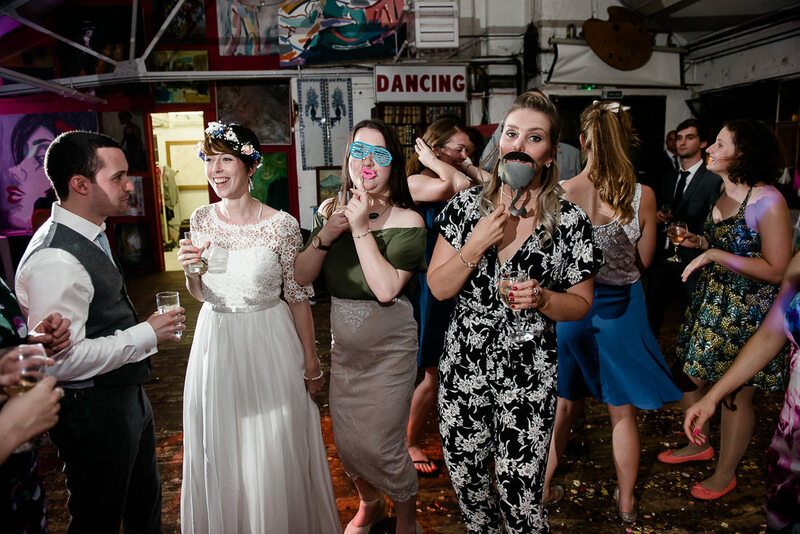 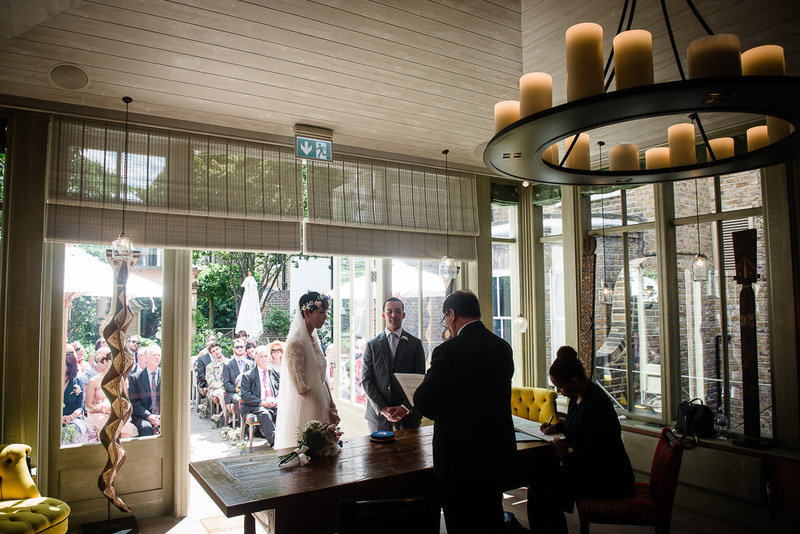 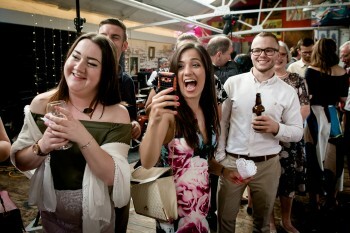 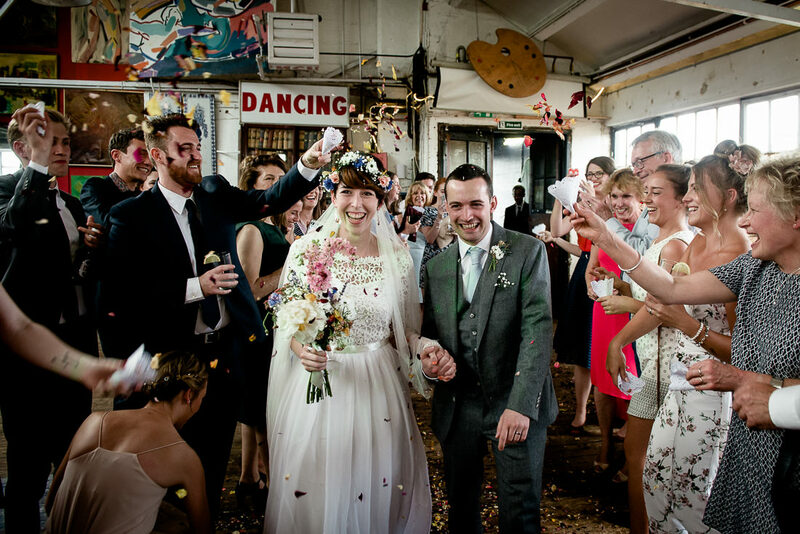 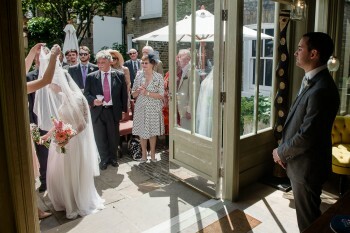 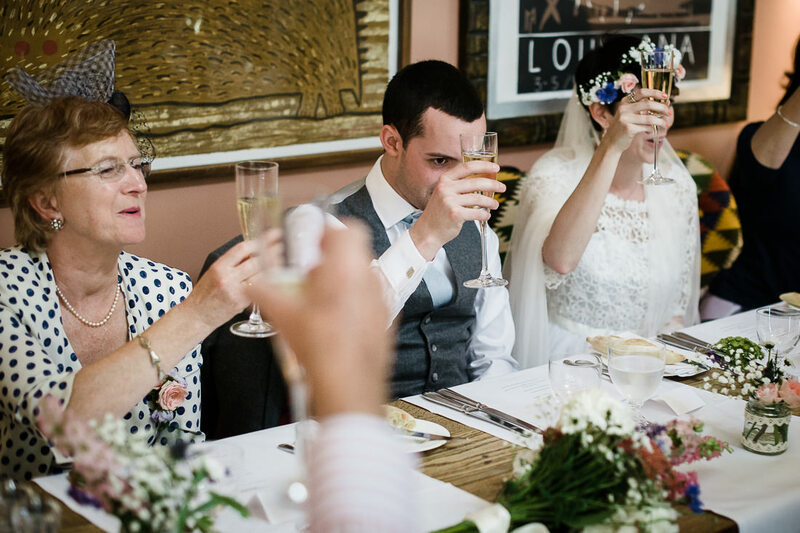 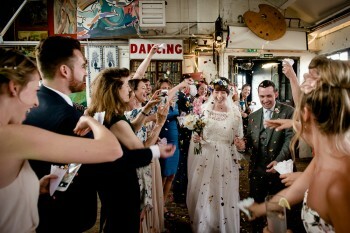 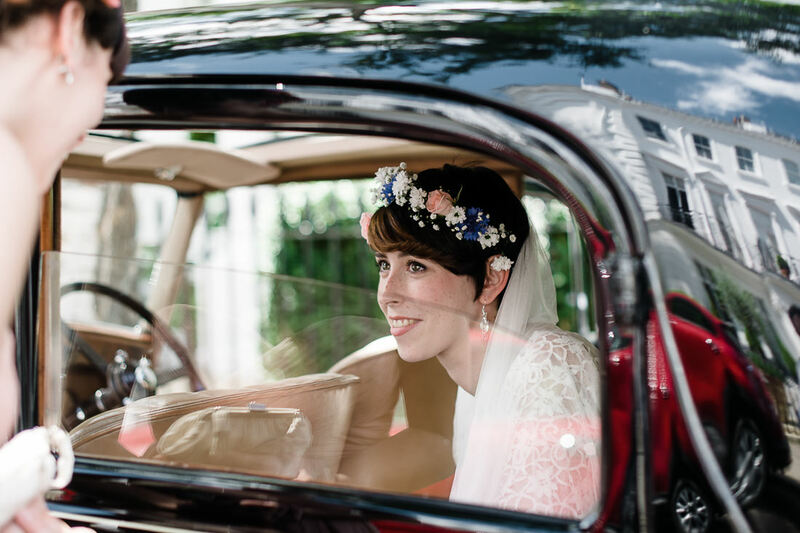 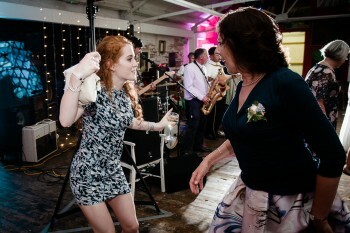 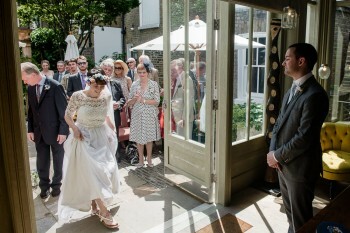 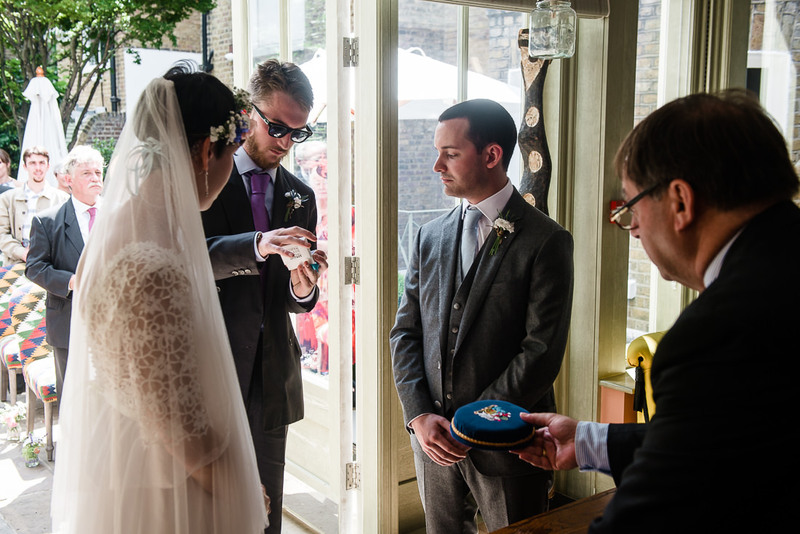 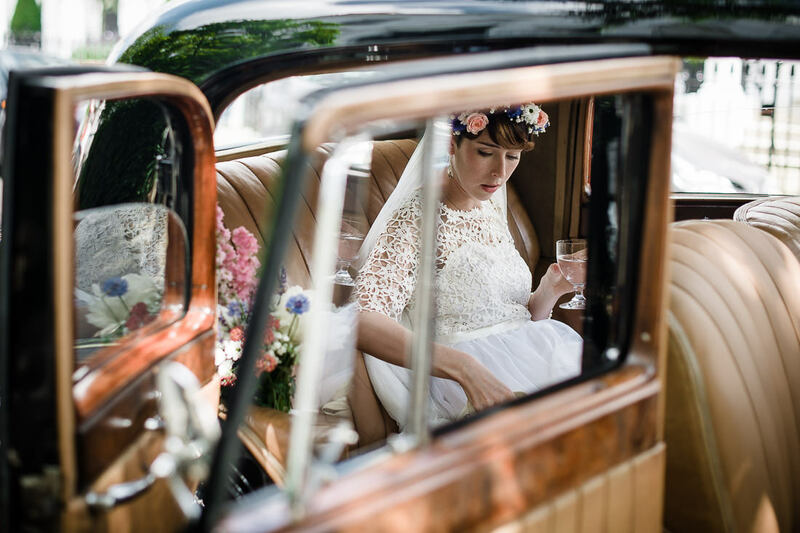 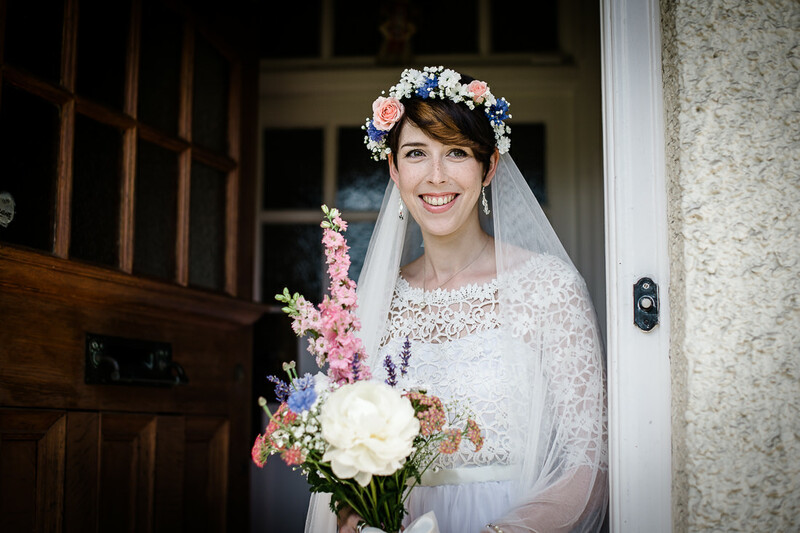 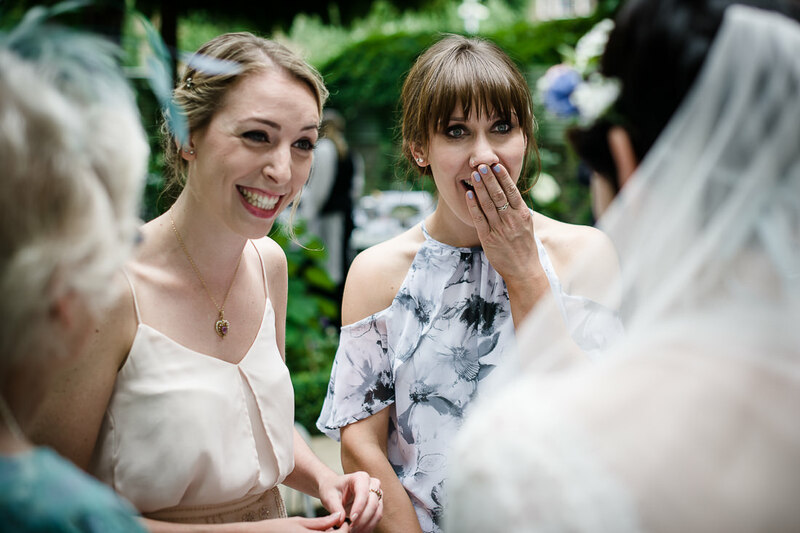 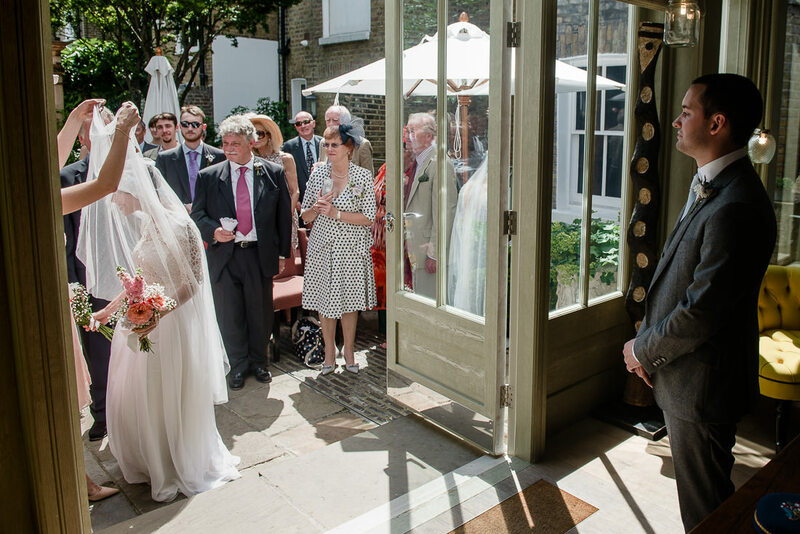 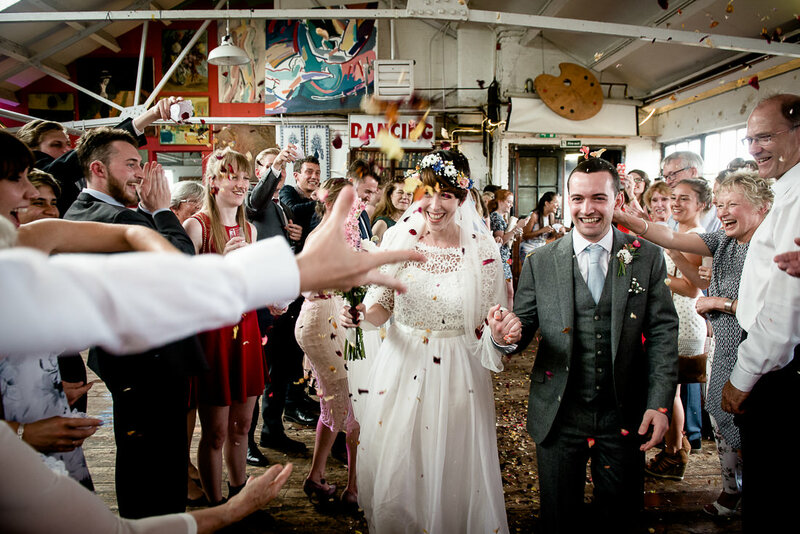 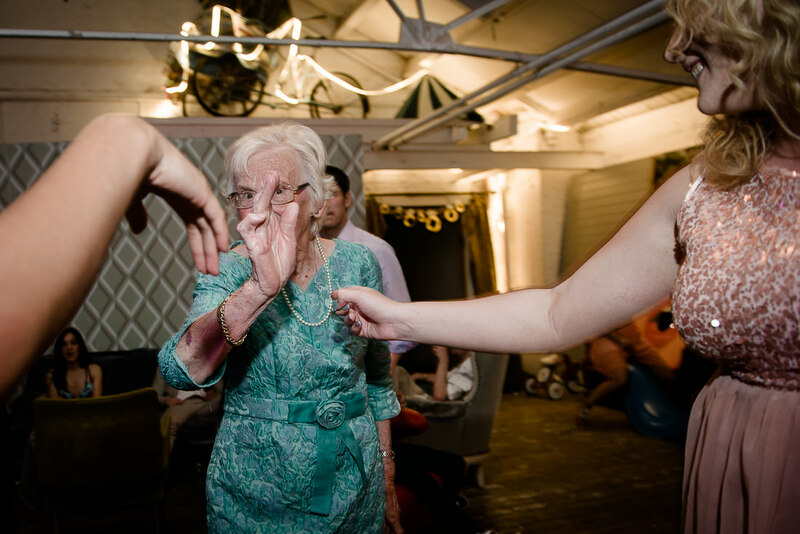 Will and Emma were married at 16 Sumner Place in Kensington in July and their reception took place at Dalston Heights in Hackney. 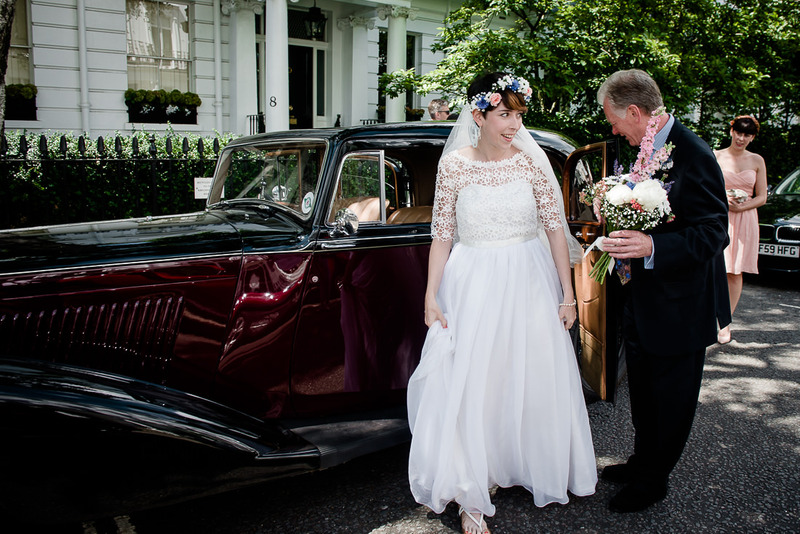 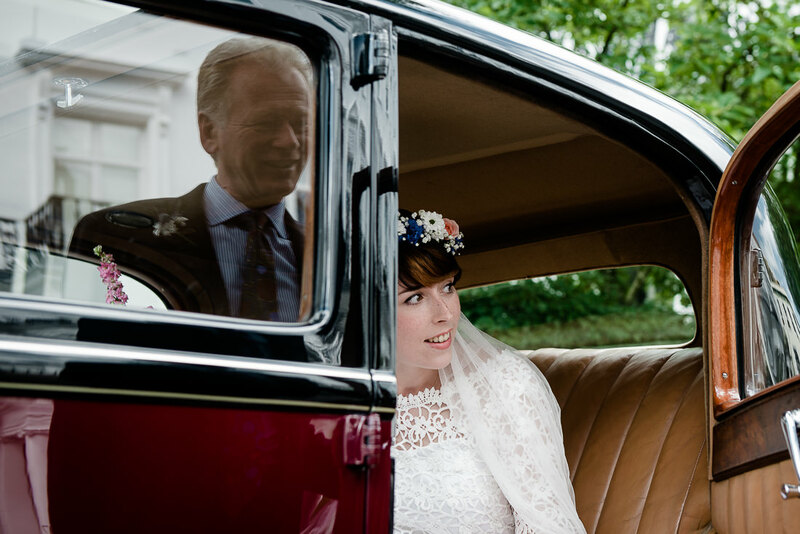 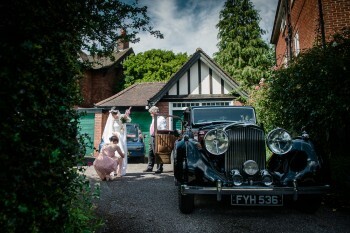 As a documentary wedding photographer shooting in London I prefer to leave my car at home whenever possible - I always think it’s best to stay with the story, rather than fretting about parking and travel arrangements! 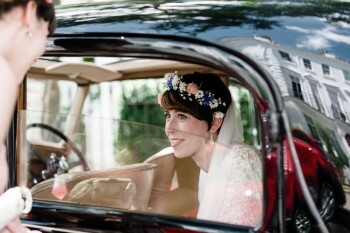 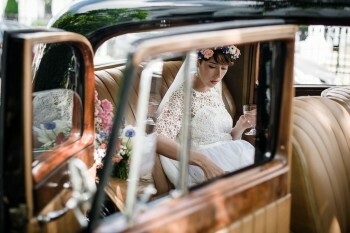 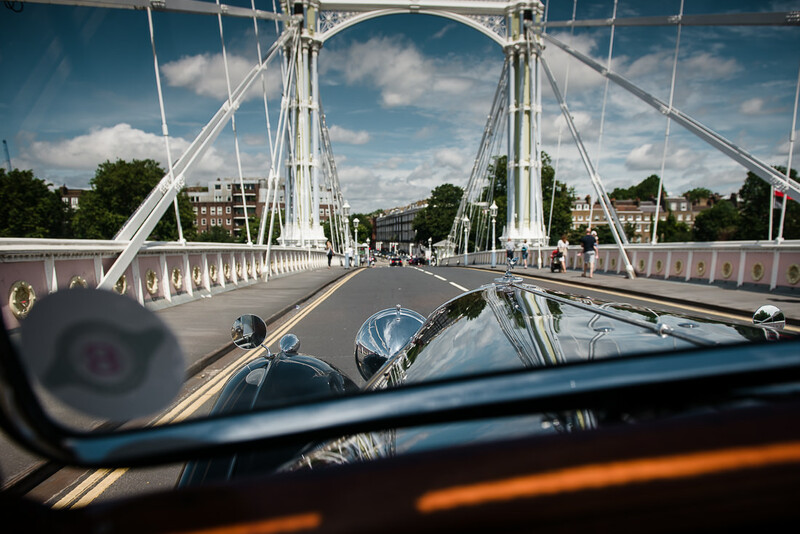 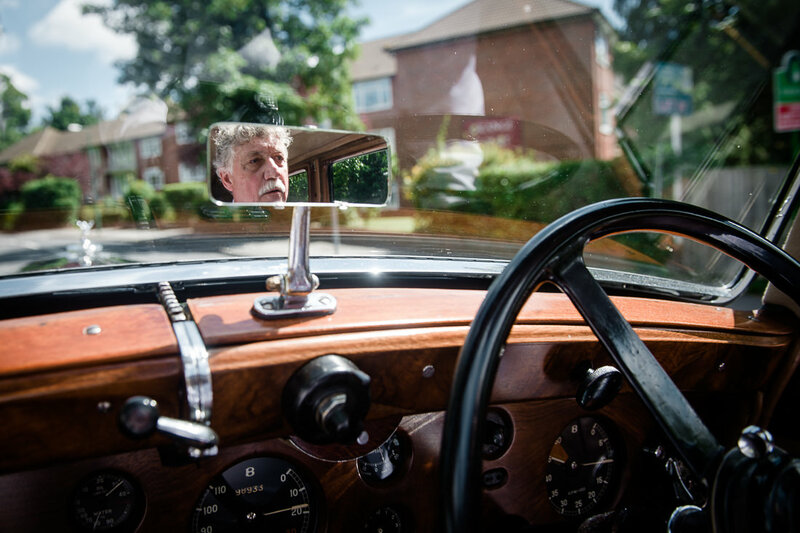 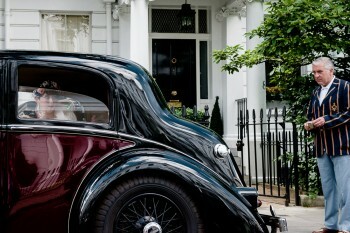 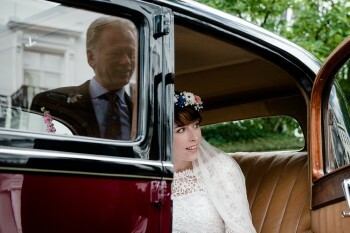 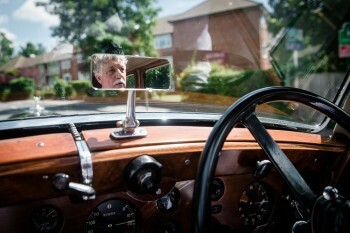 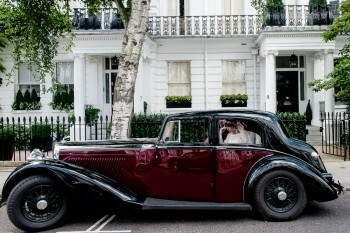 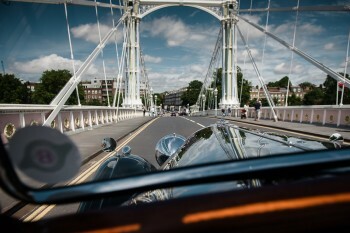 On this occasion it meant I got a free ride around London in a vintage car on the way to 16 Sumner Place. 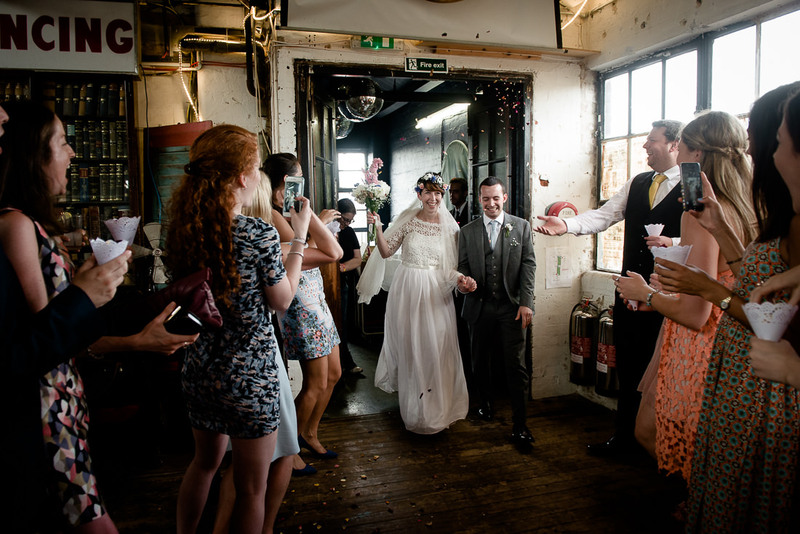 After the ceremony it was onto the ubiquitous London Route Master Bus for the trip to Dalston Heights - a studio and event space about a former cardboard box factory in Hackney, London. 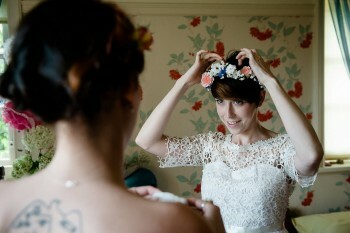 Here's a small selection of my favourites from the day. 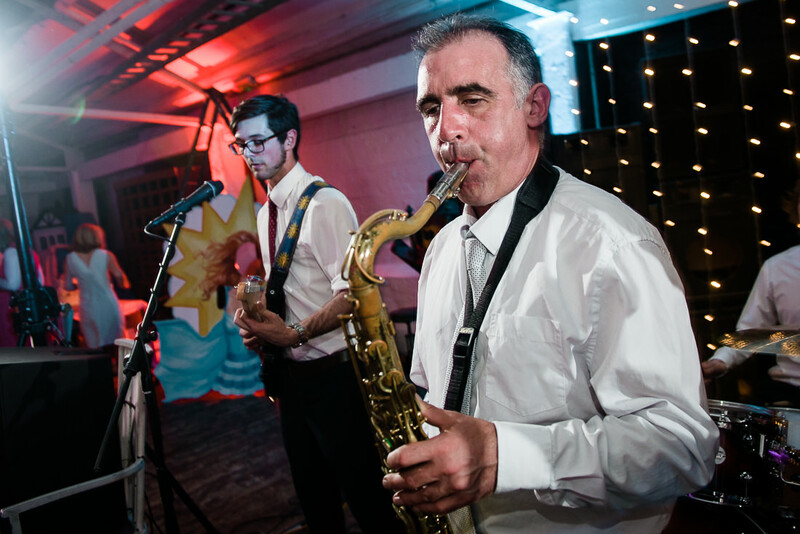 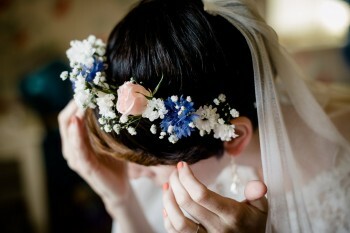 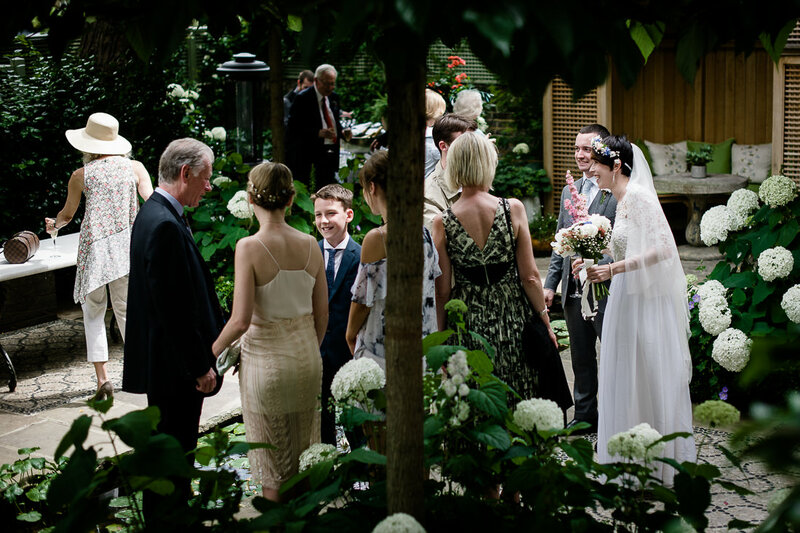 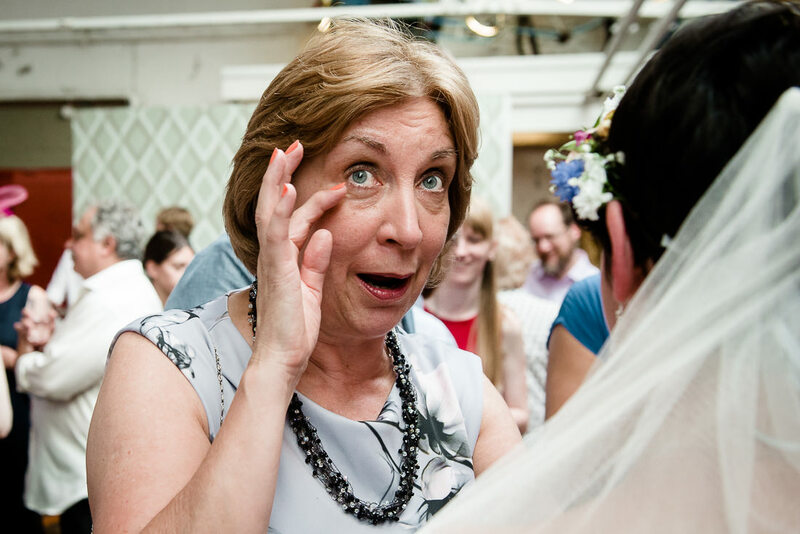 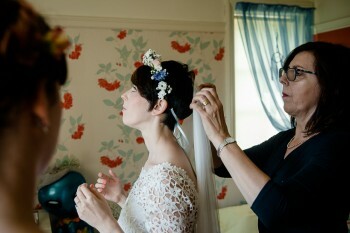 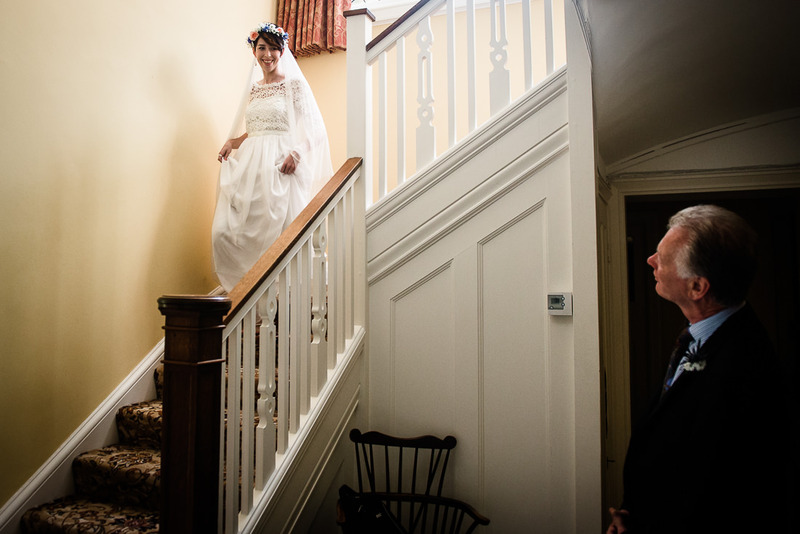 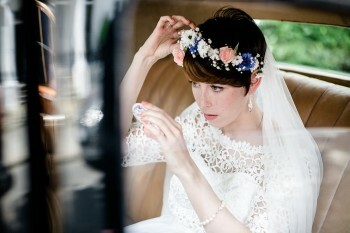 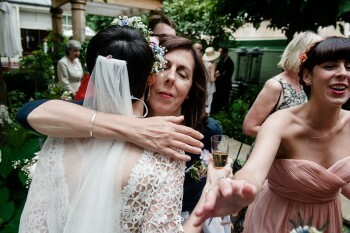 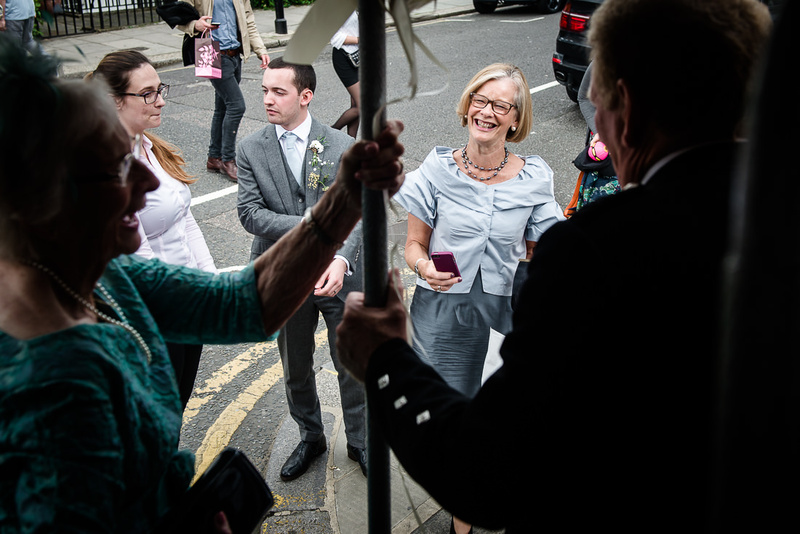 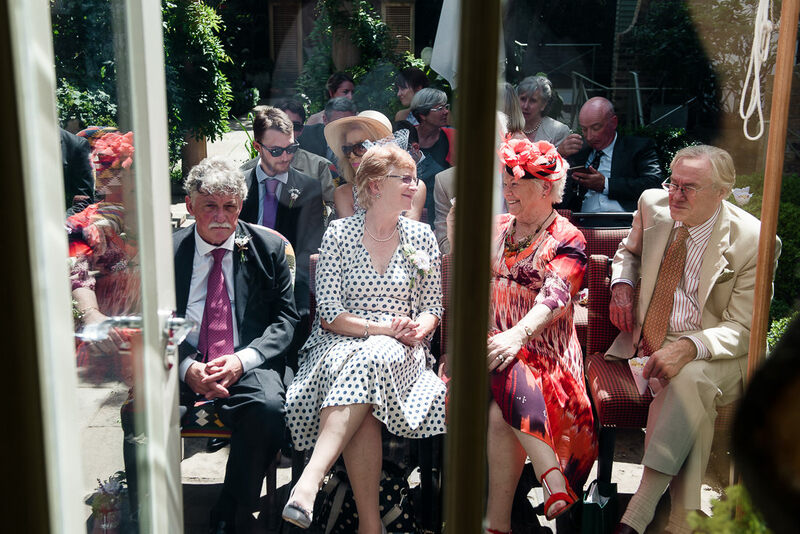 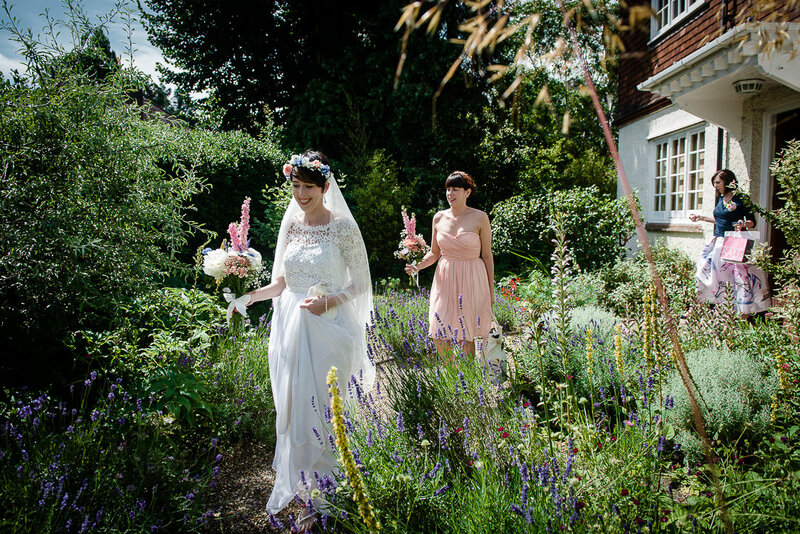 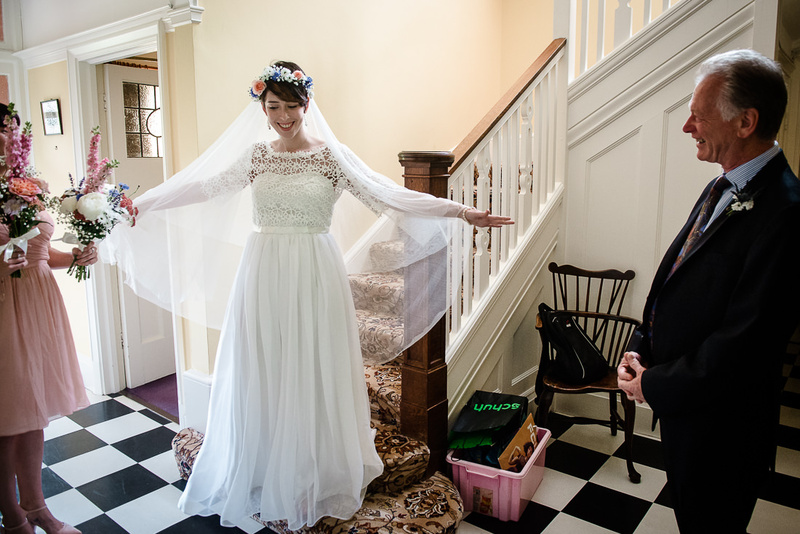 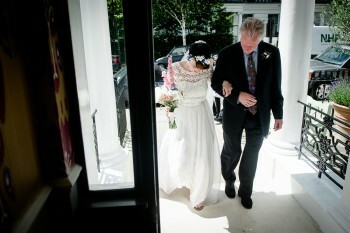 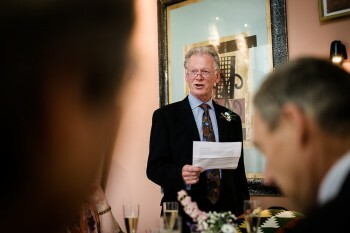 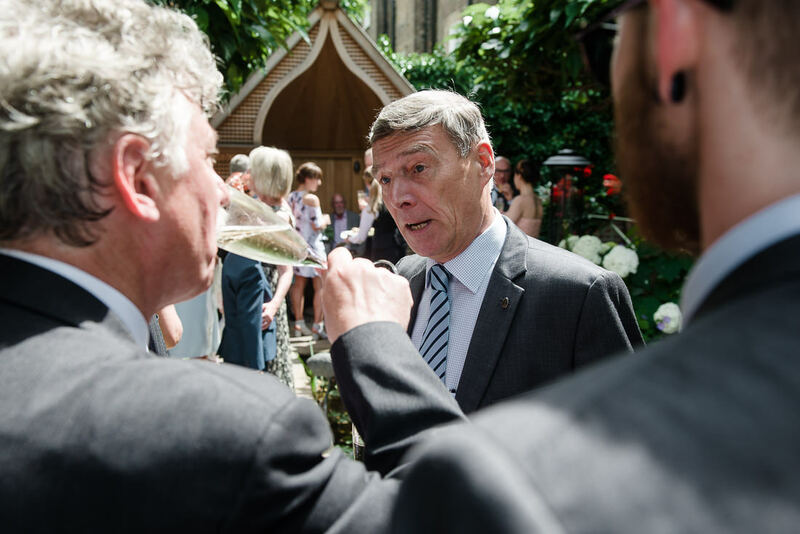 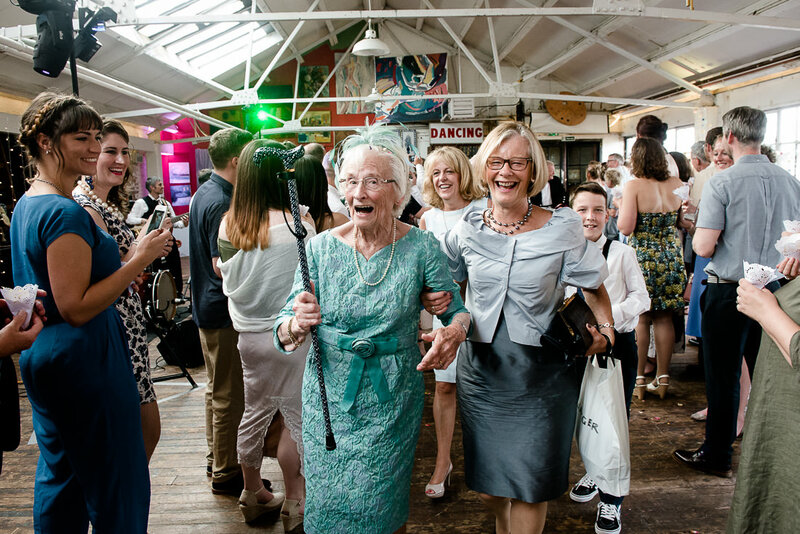 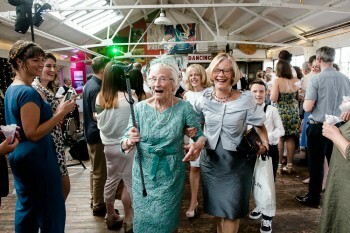 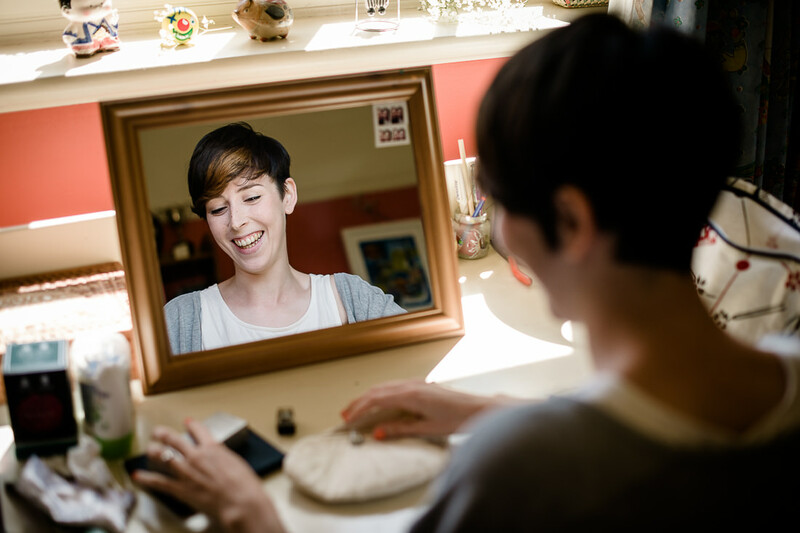 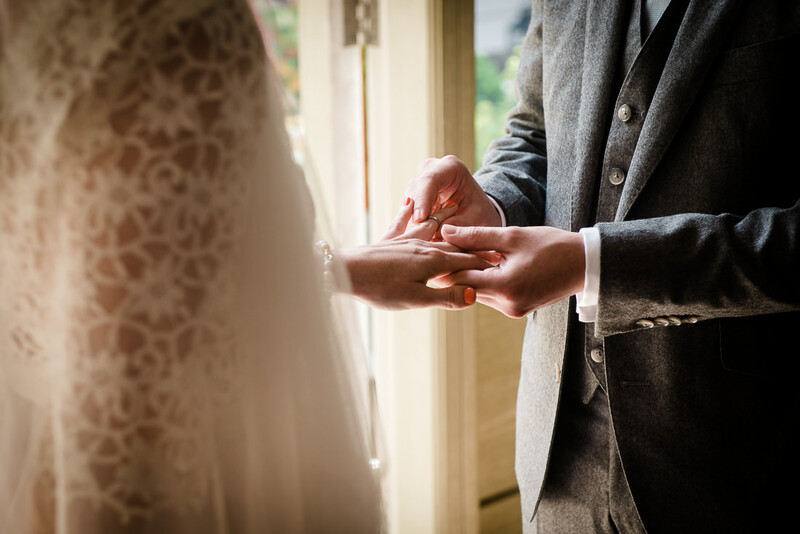 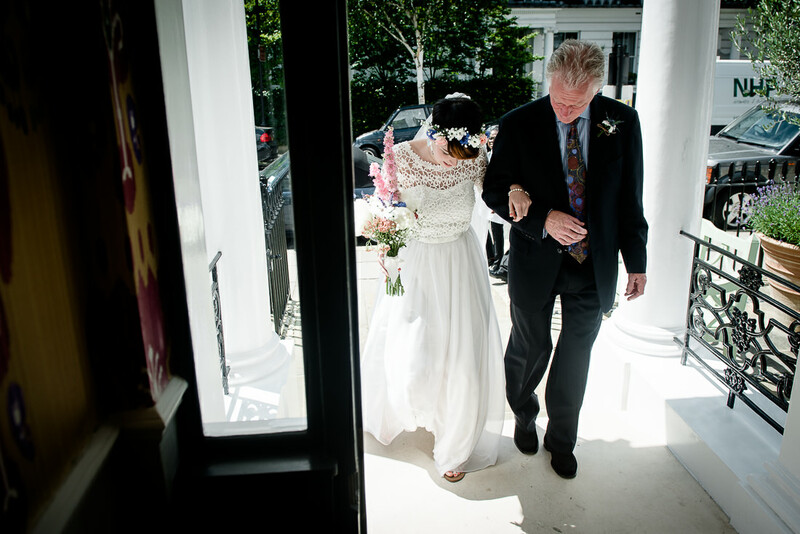 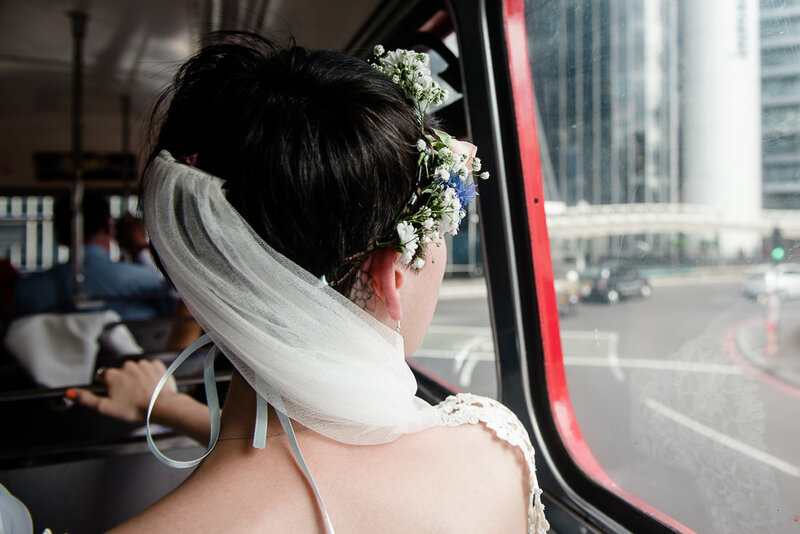 If you are looking for a documentary wedding photographer to cover your wedding in London then please get in touch. It’s so beautiful – thank you for sharing! 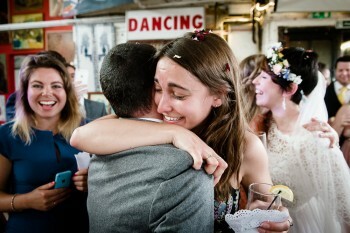 Yes, awesome documentary shots, you've captured the energy and feel of the day! 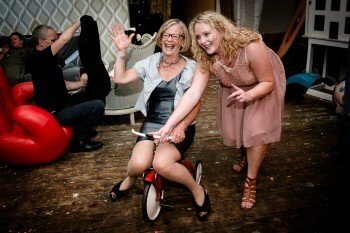 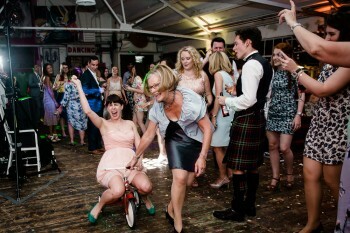 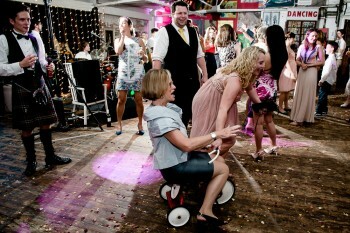 loving the mini bike dancefloor shots!